This guide provides instructions for how to set up and change your studio Banner, displayed at the top of your studio. Your shop banner can include a color, pattern, or custom uploaded image along with custom text. 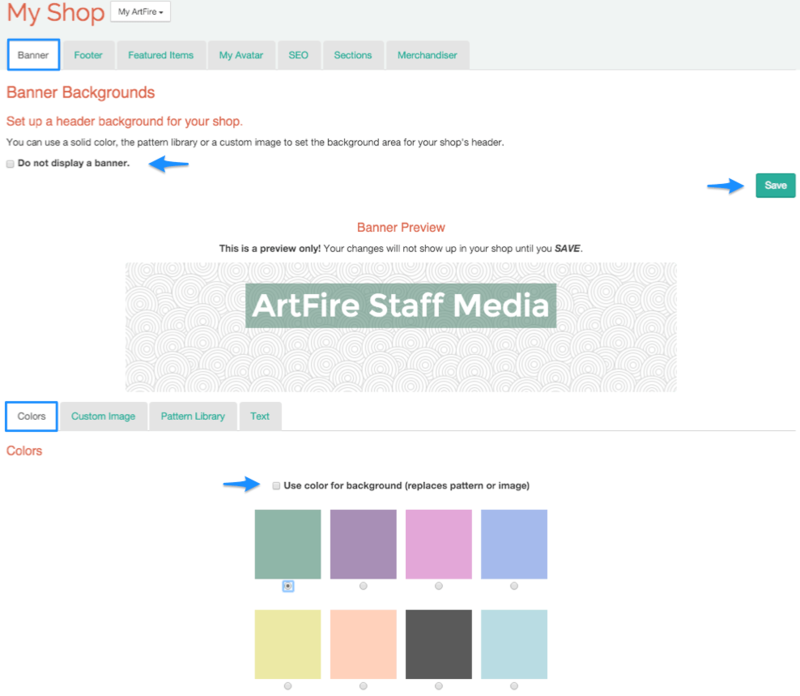 The following steps go over your ArtFire Shop's banner setup. After logging into your account, click on the Store Front image on the top right corner. Once you have clicked the Store Front image, drop down to My Shop and then click on Banner. You are now headed to the magnificent world of Banner Design on ArtFire. Here is the fun part. You can start with selecting a color to choose from to fit your shop's design. You can have your color be the background as well, or choose a Custom Image or Pattern in the next steps. 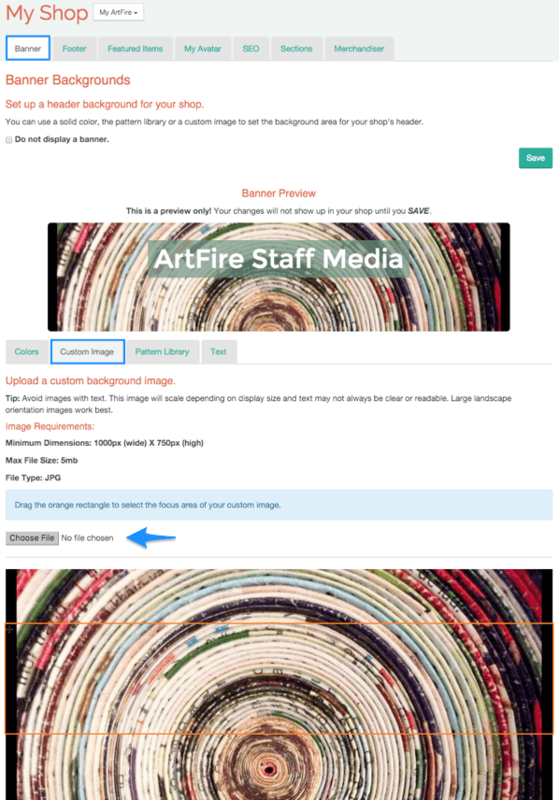 The Custom image option allows you to upload your own photo to display. This options allows you to really define your shop's page to be more personal and branded for your image. We recommend a JPEG image with a minimum size of 1170px by 750px. Focus Area: Once you've uploaded an image, you'll need to set a focus area by dragging the orange box up/down. The focus area sets the central point for your image. 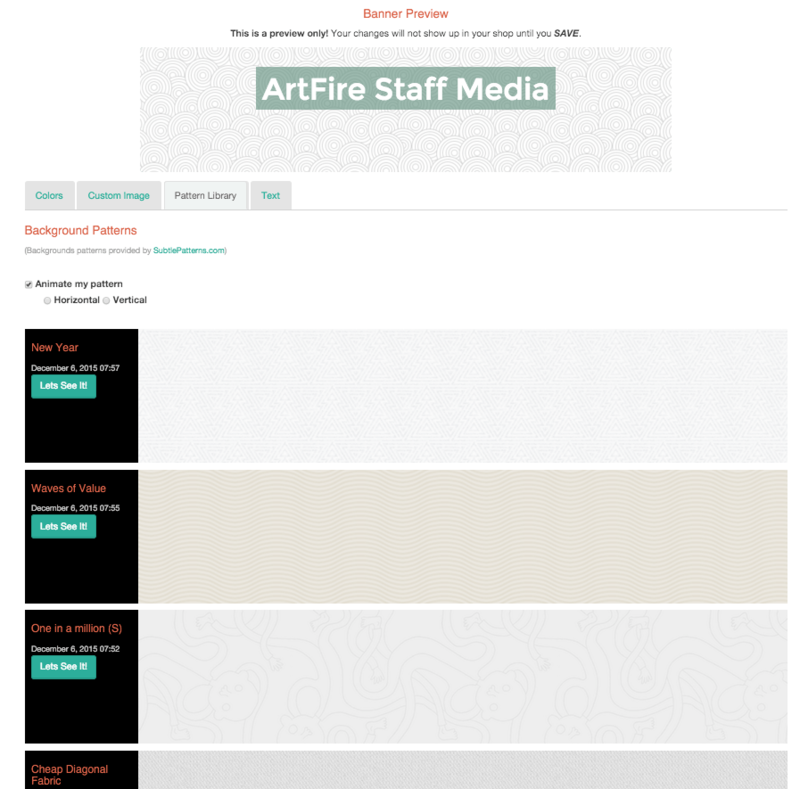 If you choose not to have a custom image, you opt to have a pattern as a background. This option allows for animation or static display, and your choice of hundreds of pattern choices. You can also choose to animate your pattern horizontally or vertically, or not at all. 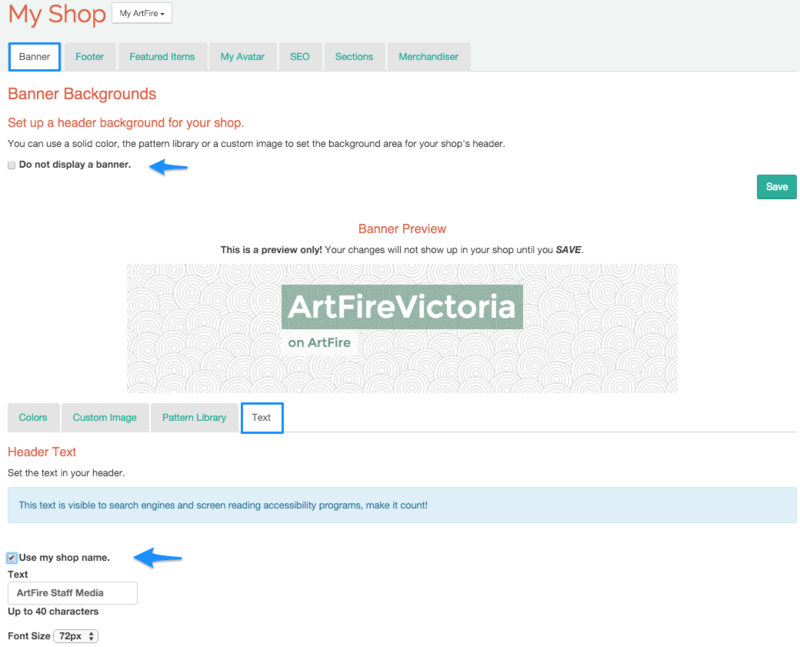 This option personalizes your shop header text. 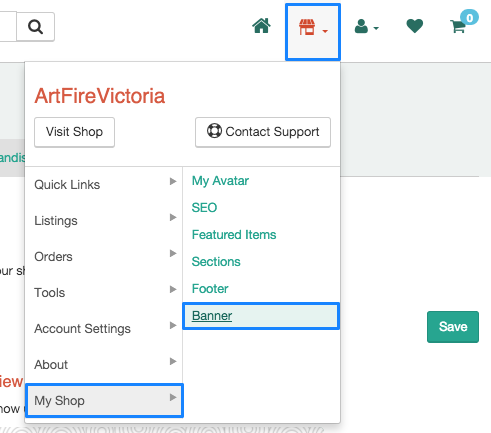 You can use up to 40 characters to set a custom text line or opt to display your shop name instead. Save your choices and take a look at your new banner. It looks fantastic!